Tired of your bland, old entertainment room? Need new ideas to spruce up an old space? Or perhaps you’re enamoured by the glitz and glamour of Hollywood? If you answered yes to any of the above, then it’s high time you take a look at the realm of movies for some ideas. From the noir-esque Hitchcock to the bleak future of Terminator and even the fantastical whim of the LoTR series, you won’t be short on inspiration for your next themed room project. Picture this. A fun family night filled with popcorn and movies in a cosy setting. Everyone needs a cosy, homey space to kick back, relax, and catch up on their TV series and movies. Blankets and comfortable seating are a must for creating the ideal “movie night” room. But if you are going to set up your very themed room, why not go the extra mile? Incorporating elements from movies, cinema, and even TV can create the most magical, fun room in the house! Here are some simple ways to truly create an immersive movie experience at home. 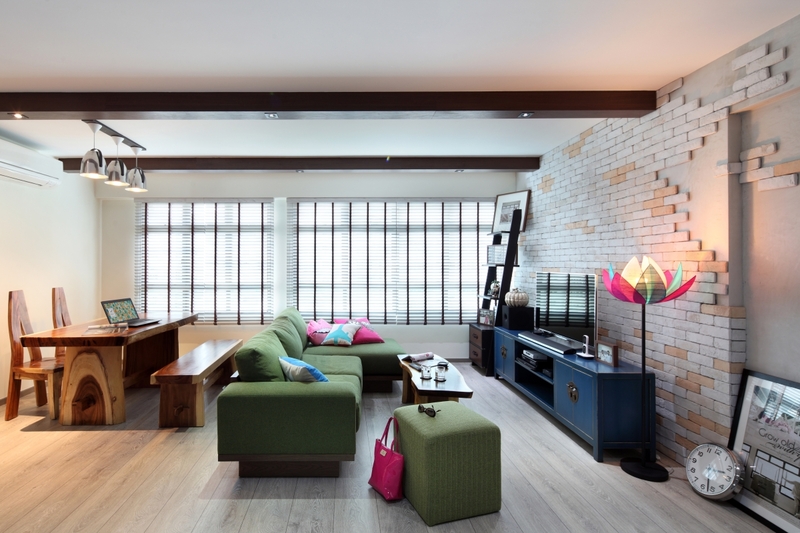 Give your movie space that extra, magical flair by adding curtains to your TV screen. This will give you a feel of actually being in a cinema hall, rather than your boring ‘ol home. Golds and burgundies are classic colour schemes if you were to add these curtains. Then you could add some pull-back tassels and fringes to add to the experience. Also, ensure that the fabric has a plush, velvety feel to it. Come movie day, slide them back to reveal your big flat screen! It’ll be an extra way to add that bit of movie magic appeal to your space. You may have the immersion of a real movie theatre but without the snacks to go with it, you may as well just be watching from your plain living room! Yes, snacks are very important to enhance your movie viewing experience. To that end, you could turn an unused space into your very own mini concession stand. Even a nook or unused corner works well here. Fill the space with everyone’s favourite snacks such as candy, potato chips, and the like. Also, you could be extra and add an air popcorn machine to your snack corner. Think about it, yummy, fresh popcorn smell just a few steps away from the comfort of your seat! And if you still want to be extra extra, you could add a mini fridge to hold all your sodas for added convenience. Do you have an itch to splurge? Well, we’d suggest spending more on some comfy, movie chairs for your movie room. This will help that movie theatre theme come full circle. Best of all, your family will defo love them! Cup holders and a reclining feature are just some things to take note of, and they make family movie nights that much more enjoyable. As such, custom-made furniture is almost always, the best option for any avid movie aficionado. They may seem pricey and luxurious but in actuality, are quite affordable if you know what you’re doing. Alternatively, beanbags add a pinch of playfulness and whimsy to a room. And they can be easily moved about to accommodate company. Additionally, they’re really comfortable to laze on while you get on with your movie marathon! Otherwise, hammocks seem out of the ordinary when it comes to movie themes but they are cool and comfortable. They’re also affordable and great for catching some ZZZs on. Though, we’d argue that hammocks are not the best when it comes to watching movies. Having the appropriate furniture is one thing, but your room’s decor can make-or-break your immersion. In this case, having a stylish and themed room doesn’t have to be mutually exclusive. Allow us to begin with your walls. Having a movie-themed room is all about the rest and relaxation it can provide. You want your walls painted in soothing colours for this purpose. For instance, bright whites and other flashy tones do not mesh well with your relaxation experience. Instead, try a darker shade of grey, blue, or even purples for optimum movie viewing quality. And while we’re on the subject of improving your movie-viewing experience, blackout curtains are most certainly a must. Basically, excessive lighting just ruins the movie experience. Plus, having blackout curtains mean you don’t have to get up to adjust your curtains whenever light is intruding into your movie room. To further enhance your movie themed room, we’d also suggest sprinkling a few decors such as posters around. Whether you love vintage movies or action and even the horror genre, movie posters will help to enhance the movie magic theme. Get them framed and use them as wall art! If you want to go a step further, get everyone’s favourite movie as wall art or go by a colour scheme you love. Get creative! And to add to this, you could also put in some collectables or merchandise to deepen the experience. It could be some wall art or just some fun little do-dads to decorate the room with! Things like some of your old ticket stubs in a jar or some vintage film reels will definitely add to the experience. Of course, you can even frame some of your favourite movie tickets for some fun, DIY wall art! As we've said, get creative and you can enjoy the experience even more, as long as you keep it thematic and cinematic! When you think of the perfect themed room, place comfort above all else! And when you think of an ideal theme to facilitate your comfort, movie settings (other than horror, of course) come to mind. Namely, adding a cinematic theatre feel will go a long way in helping you achieve this preferred atmosphere when you unwind with your family after a hard day at work. Interest piqued? Get in touch with us today!